Lahemaa – a sensation among visitors coming to Tallinn and realising that in a country of only 1.3 million people, untouched nature is just a few steps away from the busy capital. Since the first companies started to take people to Lahemaa National Park and tourists started to share their experiences on TripAdvisor, there were suddenly lines of people in front of Tallinn Tourist Information Centre, demanding a day trip to Lahemaa which during the peaks season is most often sold out. To be absolutely clear – Lahemaa is gorgeous. 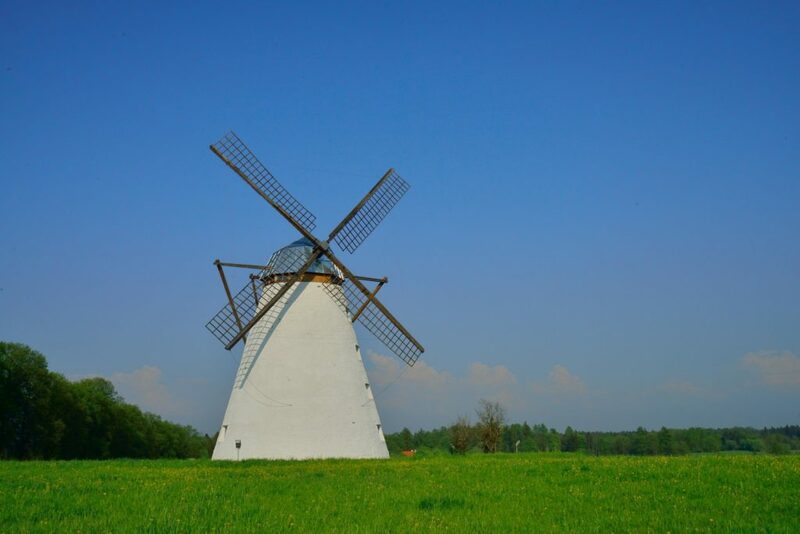 It is a perfect opportunity to see the nature, beautiful coasts and lush bogs and obtain a glimpse of Estonian history by visiting the romantic manors in the area. If you are looking for a day packed with an abundance of sights, then read no further and book a day trip before it is sold out. Warning! Watch out for what you expect from a “national park” – it is not a fenced area where bears and wolves are kept so that tourists could go on safari and take selfies with them. 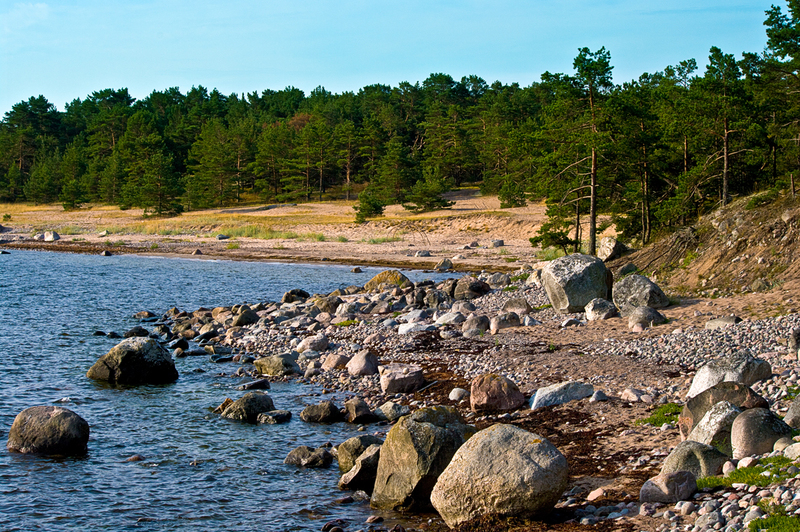 A national park in Estonia simply means an area that is protected for its ecological value and spectacular nature. Wolves, bears, beavers, foxes and what-not do live in this wilderness, but are very good at minding their own business and typically stay away from the tourist crowd. So where to go if you want to explore the nature but also stay away from tourists that already leave a large footprint on Lahemaa’s ecology? Prangli – although only 30 km from Tallinn, with a population of only about 100 people, it is an island undiscovered even by most Estonians. In case the folks from the city happen to visit Prangli, they need some time to get accustomed to the islanders’ way of living and their local dialect. Just like Lahemaa, Prangli has plenty of sights to visit, from an adorable wooden church of the 19th century to a source of natural gas that offers an opportunity for a unique BBQ experience. Not to mention visiting local fishing villages where you can try some local island dishes made from recipes passed down the generations. The culture in Prangli is somewhat more unique than in Lahemaa due to its separation from the mainland, and the legends and stories about the old islander families which are still told by the locals. Take your time and wander in the pine forests or listen to the waves by the coastline with a much smaller chance of being disturbed by other tourists than you would otherwise in Lahemaa. If you don’t want to worry about finding the right spots on the island or missing your ferry back to the mainland, book a Day trip to Prangli from Tallinn for a one-day getaway. Furthermore, if you really want to make the most out of your day on the island, how about a Hiking and Sauna tour to Prangli to experience the sauna culture which is close to every Estonians’ heart and is the perfect way to add some pampering to your stay. Also, no-one says you should keep this to a one-day trip. Maybe stay for a night and extend your island vacation a bit longer. If you are not convinced yet, read the 5 reasons to visit Prangli Island or watch a short video. Looking at their huge eyes, small nose and whiskers should be enough to get you on the hook. The Baltic Sea has about 25 000 grey seals and around 4000 are found in Estonia. Seals spend most of their days eating, as a grown-up seal consumes about 10 kg (22 lbs) of fish in a day and an adult grey seal can easily weigh more than 200 kg. Apart from hunting for fish, seals are very curious animals and are attracted to anything interesting happening nearby. Thanks to that, the local fishermen somehow figured out that seals like classical music, so when they play Mozart or Pärt, it is almost guaranteed that soon some seals will pop their heads up from the water to look and listen with their tiny ears. This gave way to the Seal Watching Trip from Tallinn where you can enjoy the calm rocking of the boat, smell of the sea air, gentle sound of the waves in the distance and watch out for the seals popping their heads up from under the waves. If you are determined to see some wildlife, then this experience gives you a much better chance of spotting some wild animals than you would in Lahemaa National Park. 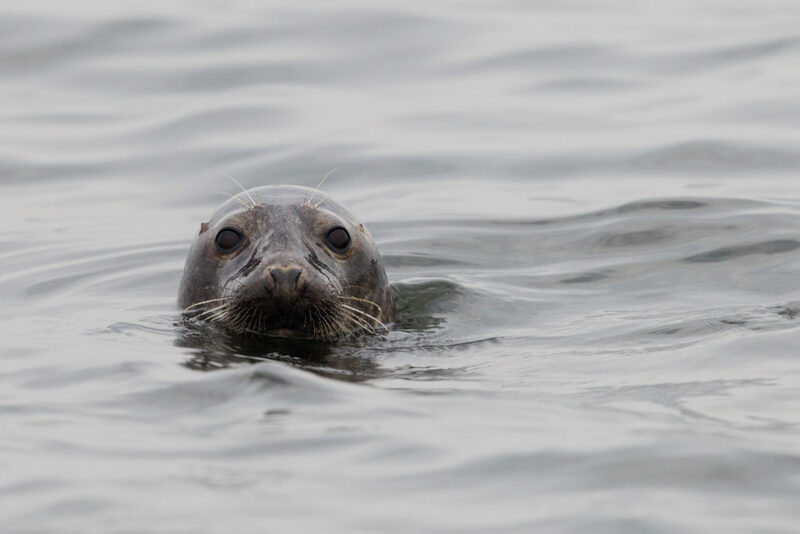 To better appreciate how the seal watching trip would go, read more from our blog post here. Bogs have a special place in the hearts of Estonians as we love them for the peace and quiet you can find when there are no cars or people around. Also, the contrast between the brownish and amber-coloured bog vegetation and the bog ponds in-between, reflecting the blue sky and clouds above, is simply breathtaking. You cannot hurry in a bog as the ground is soft and the fact that most countries have dried their wetlands to make room for farmland, creates a sense of appreciation and respect. Everything around you is quiet. There are no sounds, just your footsteps, a few birds and a soft wind. As a popular place to go for a hike in the nature, many bogs have marked hiking routes and boardwalks that make it easy to find your way. 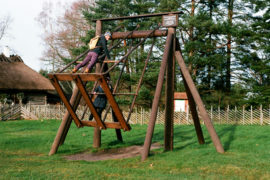 A bog visit is also part of most Lahemaa day trips. However, if you don’t want to just pass by, and prefer to go off the beaten path and take it a step further letting yourself become immersed in the strange beauty of the bog landscape, then you need more time than just a brief visit. Furthermore, the bogs visited by Lahemaa day trips often have more than one tour group visiting at a time, and therefore these places are mostly avoided by the locals. Whether you prefer just a good pair of hiking boots or wellies, or opt for the proper equipment – bog shoes (things that look like short wide skis which won’t let you sink into the soft ground); the vast landscape opens up before you and you are free to go where your heart leads you (or your guide – we strongly recommend having a local guide who can actually lead you out of the bog as well). 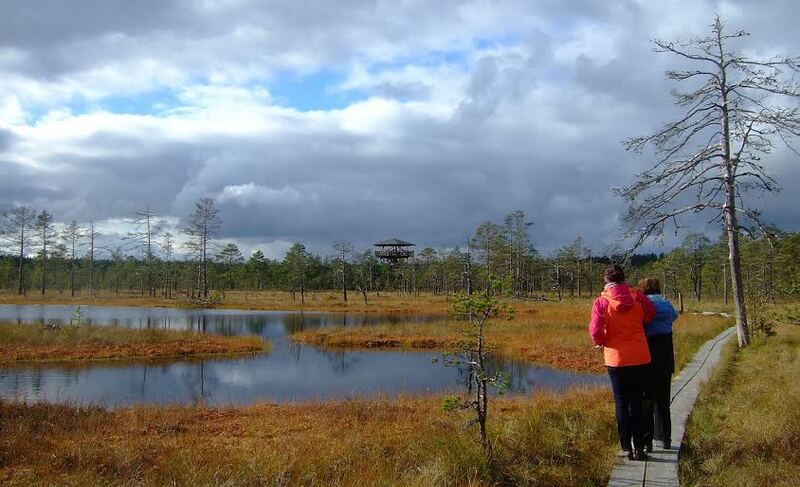 If you are not 100% confident in navigating Estonian bogs check out the Bog-shoe Hiking Tour where a local nature guide will take you to a bog less explored by the tourists and shows you some of the best views around. Alternatively, once your legs are tired and your lungs filled with fresh air, what would be better than going to a sauna to give your body a treat after all that hard work? 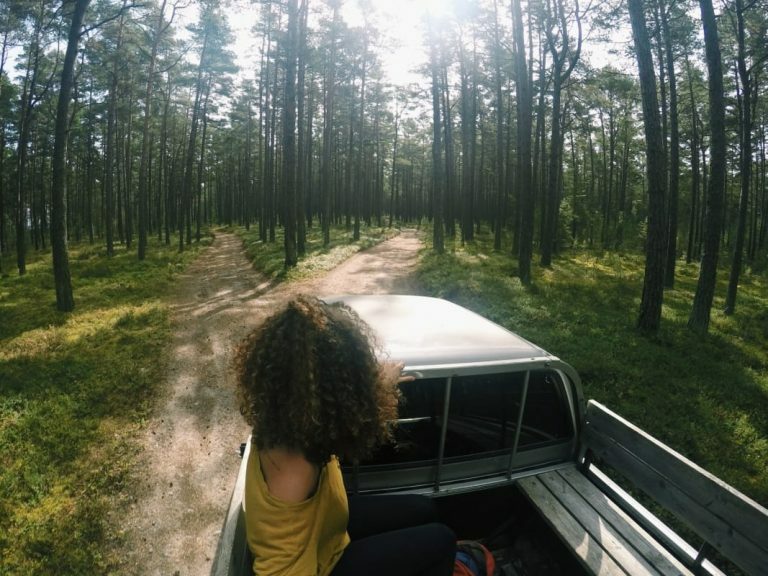 Check out Estonia’s Bogs and Sauna Tour to add some true Estonian cultural experience to your day. 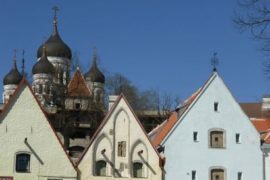 If bogs sound interesting, but you are also a bit of a history geek and cannot miss the real jewel of Tallinn – its Old Town, then check out the combined Old Town Walking Tour with Bog Visit to make the most of your day. Although a young country, Estonia has taken big strides to shake off the Soviet influence, largely in Tallinn city centre where most of the areas have been built up with more modern architecture. Those old factory buildings that remain are rapidly turning into hip restaurants (which are definitely worth a visit) and classy apartments. 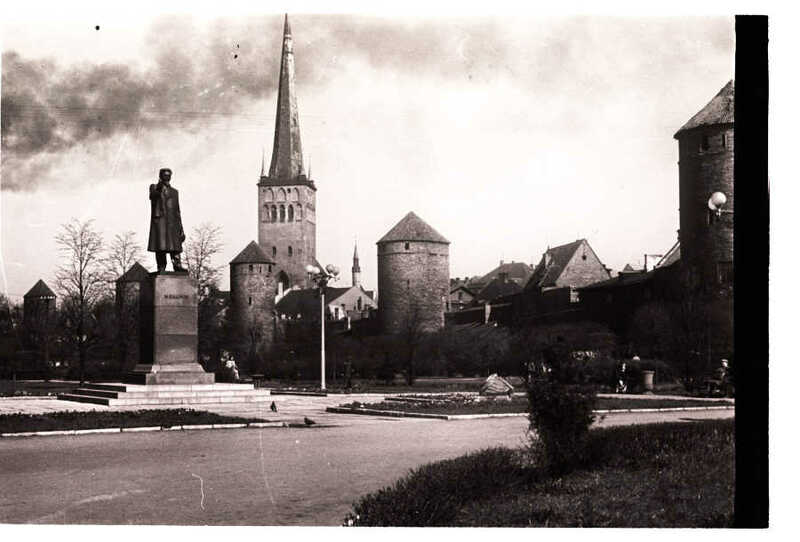 However, there are still many old Soviet-time ruins around Tallinn, from military watchtowers to factories. If you are not the type who cares too much for beautiful parks and fountains and are looking for something different – this is an option for you. 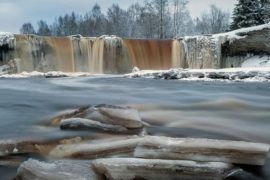 Near to Tallinn is Paldiski city which has kept a lot of its old feel and if you want to go a bit further, then discovering Narva on the border between Estonia and Russia is another option to consider. If you don’t feel like going looking for collapsing barracks alone, but still want to understand what it was really like in Estonia before the 1990s, maybe the Soviet Estonia Tour in Tallinn would be a good choice for you. Let a local guide show you some of the best sights in Tallinn and tell you some real stories from the Soviet era, so you could really get the big picture. Birds are everywhere right? Well, thanks to its location on the track of migrating birds from Scandinavia and Russia to warmer places and back, Estonia has a spectacular number of birds that are regularly seen here. This has even started a trend among foreign ornithologists coming to Estonia. How about trying it yourself? Get your hands on some binoculars and take a bus outside of Tallinn with a good book containing a guide to the local bird species. And of course, if you don’t want to go alone, there are tours available. 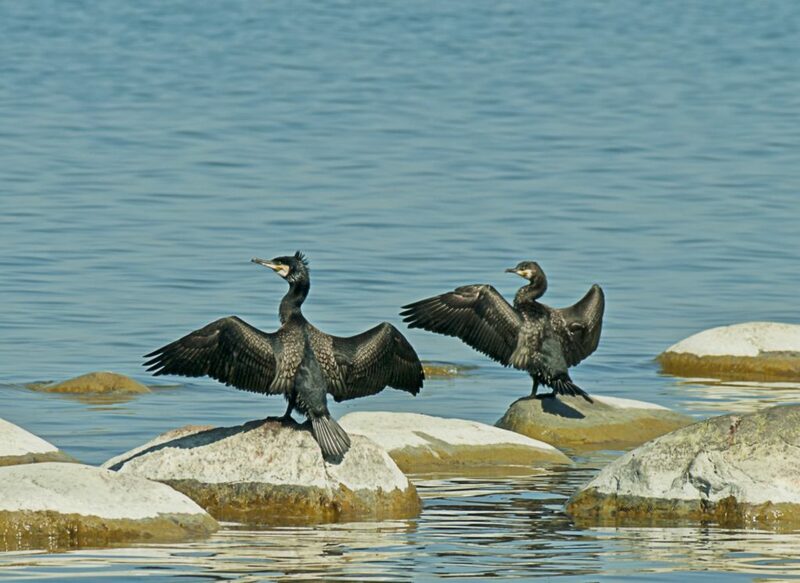 A full day tour along the North and West Coast of Estonia with Birdwatching where you can also see some of the most beautiful parts of the country and stay well away from the tourist crowd roaming around the Old Town. Don’t have that much time? Maybe a slightly shorter 6-hour Birdwatching Tour instead? There are so many other places to explore, like endless hiking trails, cities like Haapsalu, Pärnu or Tartu; or Saaremaa and Hiiumaa islands. And you only came for a 1-day cruise or a weekend vacation? Previous postTours in Estonia: know before you go!